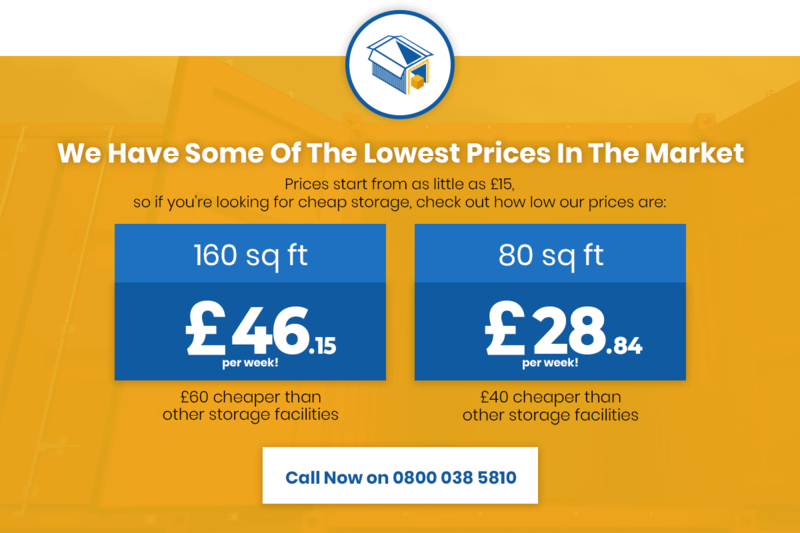 High-quality storage units for the lowest UK prices, all covered by our unique customer service package. We’re proud to offer the most flexible, accessible and affordable approach to container storage on the market. Serving London, Surrey, Sussex, Kent, Crawley and the South East from our cutting-edge facility, we combine state-of-the-art technology with total customer commitment. Whatever your needs, budget and expectations, we’ll always go the extra mile to get the job done. Our premier storage services can be used for long and short-term services alike. With no contractual requirements, our customers enjoy limitless flexibility and scalability. Whether looking to store a few personal possessions or the entire contents of your company’s premises, you and your property are in safe hands. We’re proud to offer a comprehensive catalogue of storage services, catering to all needs and budgets across the board. Our container storage units are ideal for the storage of larger or greater quantities of items – available at ground level and in elevated positions from 32sqft up to 160sqft. Each unit is covered by full 24/7 security and can be accessed around the clock (upon request) for total convenience. We also offer a complete collection of smaller self-storage units, which are ideal for temporary and long-term storage alike. From furniture to office supplies to valuables and more, we make the market’s most reliable and flexible self-storage services uniquely affordable. We also provide an extensive range of vehicle storage services, covering private and business customers alike. Winter storage of private vehicles, storage of building machinery, van storage, lorry storage and so on – all available from our conveniently located premises. Once again, every storage unit and container across our site is monitored around the clock and offers 24/7 access (upon request) for total convenience (upon request). When space is at a premium, hand your vehicles over to the experts and enjoy complete peace of mind. If looking to increase space around your property or premises on a short or long-term basis, our shipping container sales and hire service can help. We offer a wide variety of new and used shipping containers for all purposes. Provided in the size and specification you require and always for the lowest price in the UK. From temporary site office facilities to long-term self-storage solutions, we can provide you with a premium shipping container for any purpose and any duration.